Use these free blackjack training apps to prefect your strategy before visiting an online or land-based casino! If you have some free time, pick up your smartphone or tablet and perfect your play! Here are the four most popular blackjack training apps, which might help you to beat the dealer. Make sure to install them before the plane takes off to Vegas! Even though Card Counter Free is not advertised as a blackjack training app, the reviews say that it’s perfect for practicing. The application is based on real and working . It has a study guide to learn a with demonstrations and multiple practice levels, each increasing in difficulty. You’ll start in ‘Tutorial’ mode and work your way up to ‘Challenge’ level. The free version will allow you to learn the Hi-Lo strategy, but by upgrading to the full you can learn even more. The free app has a 4, 2 star rating, which is the highest in its category. Blackjack Trainer Lite might be the perfect entry level blackjack training app out there. It allows you to learn when to hit, stand, split, double or surrender. It promises to maximize your chance of winning at blackjack by teaching you the basic strategy. It’s important to note that BlackJack Trainer Lite is not a basic blackjack game. Its purpose is to provide a great start for players who are new to this renowned game. The reviews say that it’s also good to refresh your knowledge or for last-minute practicing before visiting a casino. There’s a pro version to the app, but it claims to teach the basic strategy as well, so its benefits are not clear. Some players might be relieved by the fact that the app does not require any permission for your device. 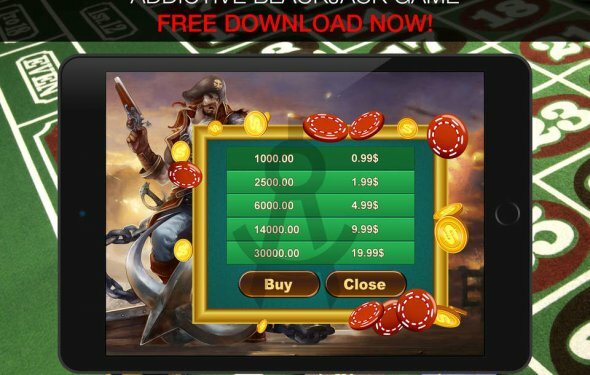 Blackjack Trainer claims to be the no.1 card counting and blackjack strategy simulator for Android devices. Its specialty is that there are five players around the virtual table, besides the dealer.